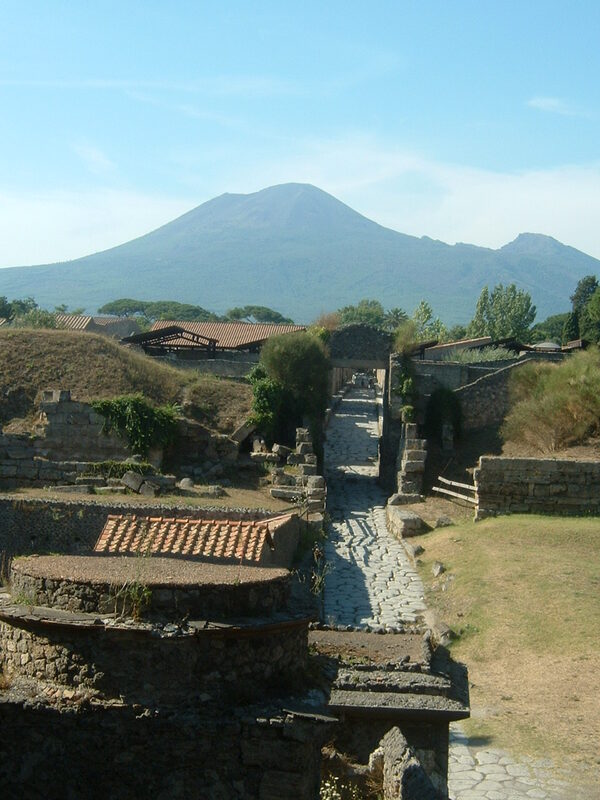 The ancient city of Pompeii lies within easy reach of Sorrento, taking about 30 minutes by train. 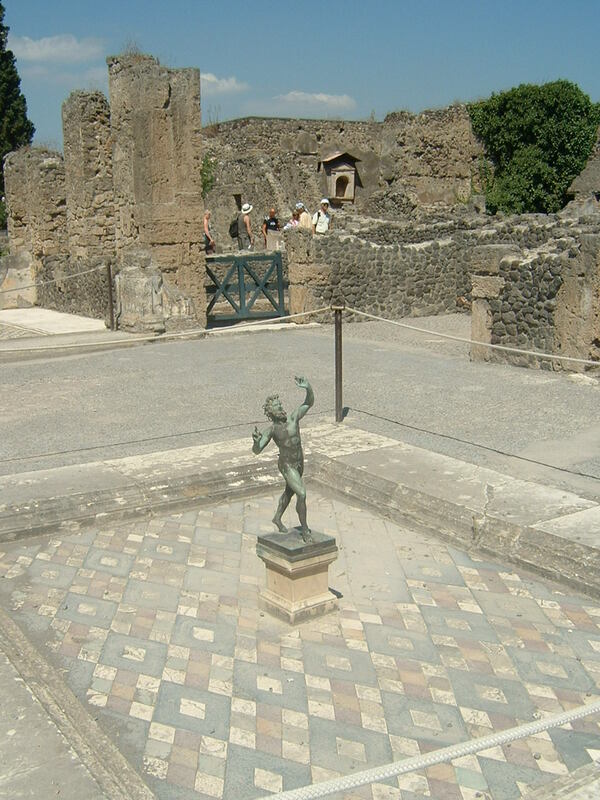 One of the most popular tourist attractions in Italy, gli scavi, the excavated ruins of Pompeii, show us what daily life was like in a Roman city, even down to what was sold in the shops and how people decorated their homes. A vast number of important artefacts have been dug up on the site over the last 250 years since excavations began in earnest. There is so much to see that many people find it difficult to get round the entire site in a day. On your first visit you could either walk round gathering general impressions or choose some of the famous sights to look at in more detail. It can be hot during the summer months so take adequate sun protection and plenty of water. Many people pack a picnic and take a break to stop and eat it while they are going round. But there is a self service bar and restaurant on the site near the Tempio di Giove. There are plenty of excellent bars and restaurants in the modern town of Pompei (spelt with only one i), but these are some distance from the excavations. There are trains to Naples from the Circumvesuviana railway station in Sorrento every half an hour that stop at Pompei Scavi station. The journey takes about 30 minutes. From the station it is a short walk to the main entrance to the archaeological site in Piazza Porta Marina. The ruins are open daily from 8.30 to 19.30 during the summer and 8.30 to 17.00 between November and April. The ancient city of Pompeii dates back to at least the seventh century BC and came under Roman rule around 200 BC. An earthquake damaged Pompeii a few years before the fatal eruption of Mount Vesuvius but it is believed that the final disaster happened in the August of AD 79. 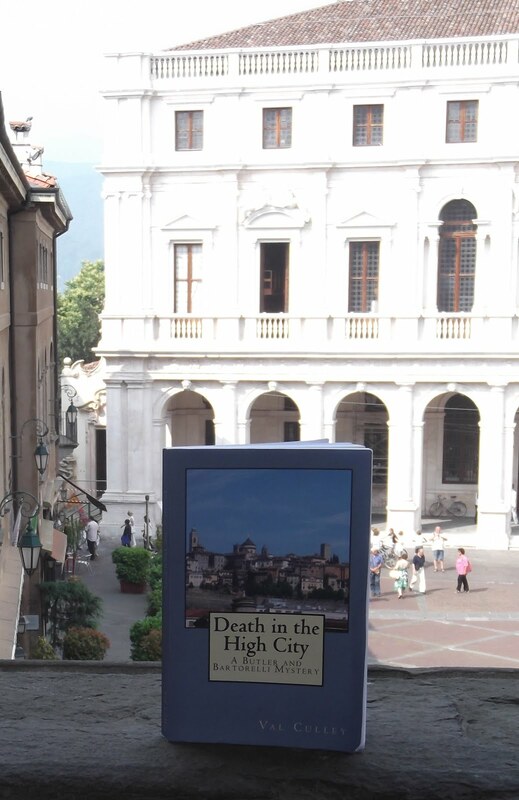 When Vesuvius started rumbling and a sinister cloud began to form many people left the area immediately and it is estimated that only ten per cent of the 20,000 population stayed behind and perished. It is believed many of them died from the effects of the heat and their bodies were buried under the stones and ash for hundreds of years. The city was almost completely covered, but the upper floors of some of the buildings stuck out from the rubble. These were looted by local people over the centuries but eventually the city was forgotten. Engineers rediscovered it while digging an acqueduct in the 17th century. The first organised excavations began in 1748 and the site soon became an attraction for wealthy Europeans on the Grand Tour. From the main entrance at Porta Marina walk along Via Marina to il Foro Civile (the forum) where you can see the place where orators addressed public meetings and the law courts. If you go along Via del Mercurio you will see some interesting houses, including Casa dei Vettii where there are well preserved wall paintings and Casa del Fauno with its famous statue. If you go from il Foro along Via dell’Abbondanza you will see the remains of shops, a tavern and a brothel. At the end of the street on the right you will find the main anfiteatro (ampitheatre). If you have time, try to visit Villa dei Misteri outside the walls of the city, which has some colourful wall paintings depicting the myth of Dionysis and the initiation ritual into a cult that was forbidden at the time. Pompei is a smart town with plenty of shops, bars and restaurants. It is also home to a magnificent church that has become a centre for pilgrims who come to pray to the Madonna. Il Santuario della Beata Vergine del Rosario is in the centre of the town in Piazza Bartolo Longo.